It’s also a bow to fiscal reality. Here’s to more (forced) bold thinking that gives local officials the power to best serve their neighbors. According to Roll Call, it’s official: there will be at least one incumbent Republican senator having to defend his record against Tea Party criticisms next year. The Tea Party Express, a group known for helping challengers Sharron Angle (NV), Joe Miller (AK), and Christine O’Donnell (DE) win Republican primaries, is backing Indiana State Treasurer Richard Mourdock’s bid to replace Senator Richard Lugar. Though Mourdock presumably appreciates the support, he probably wants a better finish then the three mentioned above. All lost in the general election. 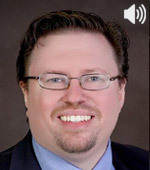 In an interview with CFIF, Jason Stverak, President of the Franklin Center for Government and Public Integrity, discusses how technology has made the line between citizen journalists and mainstream media less defined, and how citizen journalists are doing their part to hold government officials accountable to the people. In a remarkable new interview with an NBC affiliate, Barack Obama smirks and lectures that Americans have “gotten a little soft.” Take particular note of his expression as he utters those words. 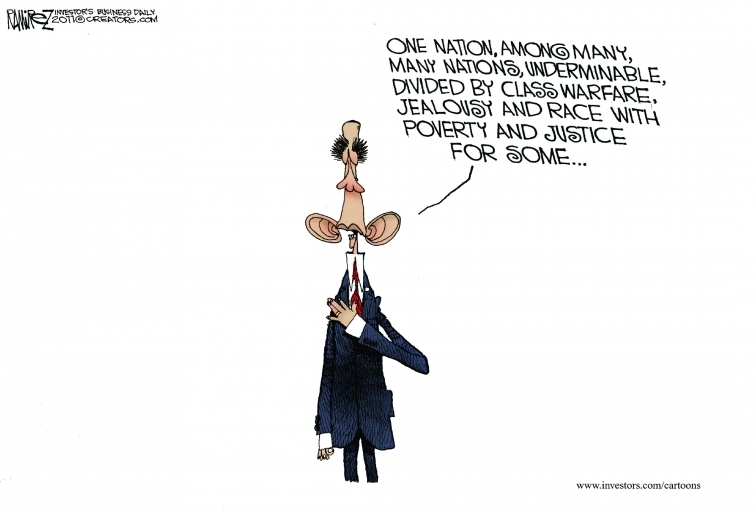 According to Obama, you see, it’s never a problem with himself or his policies. It’s that he somehow didn’t explain himself often enough to the rest of you ungrateful rubes – never mind that he has done little else in his presidency than give cliche-saturated speeches or golf. Or now, that you people have “gotten a little soft” for his tastes. From maligning Americans who supposedly “cling” to their guns, xenophobia and religion, then later to ambivalence toward American Exceptionalism and now this, Barack Obama just oozes adoration for this country, doesn’t he? Ever since his victory in last weekend’s Florida straw poll, Herman Cain is getting a lot more attention from political pundits who had previously considered him nothing more than B-level fodder for the Tea Party. This works out nicely for Cain, who may reap financial dividends in addition to electoral ones because of the upcoming release of his book, This is Herman Cain! My Journey to the White House (it’s out next Tuesday). The secret of Herman Cain is that he seems — at least to me — genuinely to be a mentally healthy human being. This is no small thing, particularly in the world of politics — even more so presidential politics, where large dollops of nearly clinical narcissism are necessary to propel the ambition needed to run for this most powerful of offices. As most of us know by now, Cain leavens his narcissism with generous jolts of humor — much of it self-deprecating — that make him, at this moment anyway, the most engaging figure on the political scene. This is the same man who put himself through Morehouse College majoring in math, got a masters in computer science from Purdue (while improving academically), plotted rocket guidance for the Navy, started in business at Coca-Cola, then went on to turn around the fortunes of Philadelphia’s Burger King franchise, take over the aforementioned Godfather’s Pizza chain, become the head of the National Restaurant Association, be appointed to the Federal Reserve Bank of Kansas City, and host a radio show into the bargain. And, of course, he defeated the Big C.
3. I am terrible at political correctness. Cain still has a very long way to go to prove that he’s got presidential mettle. But if it turns out that he does, it will be a beautiful thing. One of the very first people to argue that Obamacare was unconstitutional was the Heritage Foundation’s excellent Director of the Center for Legal and Judicial Studies, Todd Gaziano. In light of this weeks decisions by all sides of the 11th Circuit anti-Obamacare decision to appeal all or parts of the decision to the Supreme Court — a dramatic development that makes it likely the high court will rule on the law before next year’s election — I have offered, and Todd has graciously accepted, an invitation to be my guest tonight on my weekly radio show on the Gulf Coast. You can listen in here, with excellent online reception, from 9-10 Eastern time. Please check it out; every Thursday night, Welcome to Hillyer Time. Give the health care vouchers or credits directly to consumers, and let them, not bureaucrats, search for the best deal for their individual needs. This idea is nothing new. Back in the 1990s, several leading Democratic senators – among them Bob Kerrey of Nebraska and John Breaux of Louisiana – agreed with Republicans on a Medicare Commission appointed by President Bill Clinton on exactly this approach to the problem. Alas, when Clinton (and Congress) became embroiled in the Monica Lewinsky scandal and subsequent impeachment effort, the political well was so poisoned that the commission’s recommendations fell by the wayside. What bears repeating is that this idea is bipartisan and nothing radical at all. Indeed, although at different spending levels, the concept was embraced (or re-embraced) as recently as last winter by Alice Rivlin, former director of the Office of Management and Budget under Bill Clinton and later Clinton’s appointee as vice chairman of the Federal Reserve. A number of other top-ranking Democratic economic-policy folks have endorsed the concept in whole or in part. As I also noted, this is essentially the system used in the Medicare prescription drug program — an unaffordable new entitlement, but happily far less unaffordable than originally expected, precisely because competition has worked to keep down costs for taxpayers and consumers alike while providing services with which the consumers are mostly happy. If Barack Obama wants to stop pretending to be pushing “ideas both parties agree on,” and actually accept an idea that has been bipartisan for 15 years, he would adopt Ryan’s approach. But that won’t happen. Obama isn’t for anything that takes power away from government. So how many times must Barack Obama be wrong – flatly, indisputably, wholly, precisely wrong – before he withdraws from American political life out of pure shame? Today provided another example. In selling ObamaCare, his cornerstone “achievement,” to the American people, Obama promised on March 8, 2010 that his bill “reduces most people’s premiums.” So what is actually happened in just the first year since he made that assurance? The Kaiser Family Foundation and the Health Research and Educational Trust report that health insurance premiums rose 9% this year. Employers’ average yearly premium for families climbed from $13,770 last year to $15,073 this year, and from $5,049 to $5,429 for individuals. Perhaps this explains why Obama’s Justice Department curiously didn’t seek to delay United States Supreme Court review of ObamaCare this week – maybe even Obama suddenly wants it overturned as quickly as possible. CFIF Senior Fellow Quin Hillyer on Sunday appeared on Fox News to discuss the extremely ideological and partisan hiring practices for career positions within the Obama Justice Department and the mainstream media’s virtual silence (read: hypocrisy) on the issue. Now Pajamas Media has analyzed the hiring in five – count them, five – different sections of DoJ. So far, those five sections in the Civil Rights Division have hired 70 lawyers. According to Pajamas, every single one – every single one, every single one, every single one – has boasted a resume full of ideologically leftist connections. These people were members of groups like ‘Queer Resistance Front,’ ‘Intersex Society of North America,’ and of course People for the American Way. Their published essays focused on issues such as ‘Genital Normalizing Surgery on Intersexed Infants’ and on arguing that providing material support for terrorism isn’t a war crime. They, or those promoted, have histories of extracurricular activities that include getting arrested at a World Bank protest, going on a hunger strike while chaining oneself to an oak tree and doing advocacy work for ‘the rights of incarcerated native Hawaiians to dance the hula and perform Hawaiian chants and rituals in privately owned prisons in Arizona.’ A large number of them have donated significant campaign funds to Barack Obama, and some to other liberal candidates. Not a single one has a single affiliation with any group seen as right of center. Actually, according to Pajamas, none is even apolitical. Instead, all are definitively liberal. Hillyer goes on to point out that the issue isn’t merely a political matter, but one that has real-world policy consequences. Watch the FoxNews.com Power Play interview here. Watch the the America’s News Headquarters interview, care of our friends at Media Research Center, here. Ford pulled the ad after individuals inside the White House questioned whether the copy was publicly denigrating the controversial bailout policy CEO Alan Mulally repeatedly supported in the dark days of late 2008, in early ’09 and again when the ad flap arose. And more. With President Barack Obama tuning his re-election campaign amid dismal economic conditions and simmering antipathy toward his stimulus spending and associated bailouts, the Ford ad carried the makings of a political liability when Team Obama can least afford yet another one. Can’t have that. The ad, pulled in response to White House questions (and, presumably, carping from rival GM), threatened to rekindle the negative (if accurate) association just when the president wants credit for their positive results (GM and Chrysler are moving forward, making money and selling vehicles) and to distance himself from any public downside of his decision. Sources at the White House have been quick to insist that there was no actual pressure on the automaker. But there didn’t have to be. The fact that there was even communication on the issue was a major ethical breach. The idea that the executive branch would gripe at a private company over a perfectly legitimate ad campaign is antithetical to the American tradition of free speech. This is what we would expect from Vladimir Putin on a slow day, not the team surrounding the President of the United States. Don’t think that the adminstration was simply peeved that a major corporation would have the temerity to criticize the visionary mandarins of the Obama White House. More than anything, they were terrified that it would work. The Heritage Foundation has a masterful indictment of Senator Harry Reid’s (D-NV) ham-handed attempt to use a FEMA budget bill to score political points. Last week, Reid deliberately killed a House-passed continuing resolution funding FEMA for $3.5 billion while cutting $200 million in subsidies similar to the Solyndra loan fiasco. Angry at the cuts, Reid sidelined the House bill and introduced his own with no cuts and more spending. Yet when the Senate sensibly defeated Reid’s proposal, he chastised the chamber in a bizarre floor speech that tried to pin blame on Republicans for leaving disaster victims out in the cold. Besides refusing responsibility for holding victims hostage so more green jobs could be subsidized, Reid’s implication was that without billions in taxpayer money, citizens would be left to fend for themselves. As Heritage shows, Reid’s argument is simply not so. With just a bit of calling around, the think tank found that disaster victims in Pennsylvania were being assisted by the Wyoming County United Way, the Seven Loaves Soup Kitchen and the Weinberg Regional Food Bank. Each of these private voluntary groups reported record numbers of donations and applications to assist. As with any disaster, everyday Americans don’t wait for the government to mobilize. Instead, they roll up their sleeves, stuff sand bags, serve hot food and help the devastated rebuild their lives and communities. For statists like Harry Reid, people die without the government. For those living in the real world, it’s people – not bureaucracies – that make recovery possible. 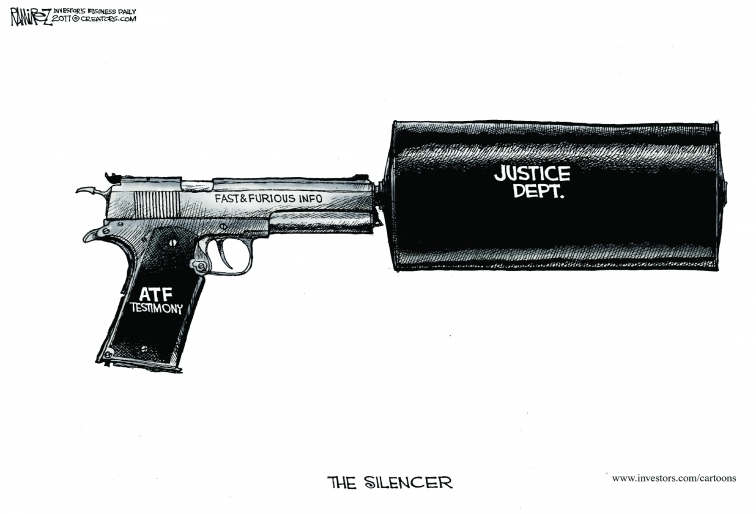 Fox News reports that ATF’s Fast and Furious botched gun-tracking operation to Mexican drug cartels didn’t stop at encouraging private gun owners to sell to known criminals with assurances of surveillance. Six months before Border Patrol Agent Brian Terry was murdered with one of these weapons, ATF supervisors in Phoenix directed field agents to sell the guns directly. The result was the same as when the guns came from private sellers: no surveillance was initiated by ATF to track the guns. Instead, the buyers for the cartels were allowed to store them in a stash house and ship them south with impunity. These are the kinds of revelations that get bureaus like ATF shut down. Could it also be the scandal that sinks Attorney General Eric Holder, the man who oversees ATF’s operations? In my column last week, I detailed the devastation that the Pentagon will be in for should the bipartisan congressional “supercommittee” not enact major debt reduction by early next year. While paring back the size of the federal government is essential, the Obama Administration was unspeakably reckless in allowing defense cuts that could reach over $1 trillion to be triggered automatically should the committee fail to act. The analysis notes that the Navy would need to take two aircraft carrier battle groups out of service and the Air Force would lose a third of its fighters. The Marine Corps would no longer be able to maintain forward-deployed amphibious forces around the world. New weapons systems, such as the Navy and Marine Corps’ versions of the F-35 Joint Strike Fighter, would be canceled. The U.S. nuclear arsenal would be drastically reduced and modernization plans scrapped. Aside from the troop cuts, there would also be massive layoffs of Pentagon civilian employees and the elimination of many jobs in the defense industry, according to the analysis. The Obama Administration never runs out of supplicants. Whether it’s labor unions, “green energy” firms, or corporate friends who can get a waiver from Obamacare in the blink of an eye, there seems to be no one that the administration doesn’t have unlimited cash available for on an on-demand basis. No one, that is, except the men and women of the United States military. Why Can’t a War Hero Be a Fireman? It has come to our attention that Congressional Medal of Honor recipient Marine Sgt. Dakota Meyer is seeking an extension of the filing period so that he may file to take the upcoming FDNY Firefighter entry test…but is meeting resistance to his request. Extension of the filing period for this test has, in the past, been a common practice. In fact, it was just extended this past weekend so recruiters could attend a parade and sign up those who didn’t file an application during the allotted two months. Sgt. Meyer was in New York this week for events connected to his act of unbelievable bravery when he first became aware of the test and expressed an interest. Unfortunately, he expressed that interest a few hours- yes, hours- late. We are calling on the Department of Citywide Administrative Services, the FDNY, Mayor Bloomberg and any and all other interested and proper agencies and officials to do whatever it takes to give the first living Marine since Vietnam to earn the Medal of Honor the opportunity to become one of New York’s Bravest. There is absolutely no excuse not to- none. If the reasons for extending the filing period this past weekend or for past tests have been valid, then there is absolutely no excuse for not granting Sgt. Meyer’s request. I know there will be a groundswell of support for what we are urging in this Release. All interested members of the media, elected officials, civic and other leaders can contact us and we will coordinate with those closest to Sgt. Meyer. All receiving this message are urged to make phone calls, forward this message and take any other action to make this Marine’s wish come true. A Medal of Honor recipient wants the opportunity to serve the city of New York- let’s make sure he gets that opportunity. Today marks the release of Moneyball, a movie based on a book based on the true story of how the Oakland Athletics baseball team overcame a chintzy payroll to compete with high-dollar teams. The book revolutionized the way many people think about baseball (and management in general) because of the A’s innovative use of player’s statistical data. Today also saw top executives from Solyndra stonewalling Congress over how the company went from $535 million in federal subsidies to bankruptcy in less than three years. Something similar happened with Solyndra. When the company’s solar technology was new it looked like the magic bullet for the “green economy,” so much so that investors and the Obama Administration threw caution to the wind, funded a fantasy, and put taxpayers on the hook for half a billion dollars. The A’s only lost games and perhaps some credibility after their more-than-meets-the-eye initial success. American taxpayers are losing their collective shirt with bad bets on Keynesian stimulus and market-distorting subsidies. A’s fans might want to get new management. Americans should demand it. Foreign Policy offers a Top 10 list of the “craziest things ever said during a United Nations speech,” to help give context to today’s request for statehood recognition by the Palestinian Authority. Among the leaders contributing to the list are Russia’s Nikita Khruschev (shoe banging and epithet); Palestine’s Yassir Arafat leading a “Zionism = racism” movement; Venezuela’s Hugo Chavez comparing President George W. Bush to Satan; and Iran’s Mahmoud Ahmadinejad blaming the South Ossetia war on Israel. Of the top ten, three include racist criticisms of Israel. If Palestine gets statehood status and speaking privileges, expect that number to rise.